White poplar provides the framework for this chair. The framework is elegantly accented with suede deer leather lashing. 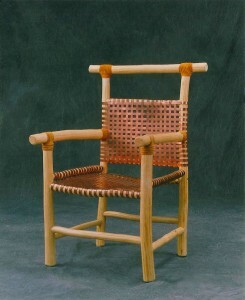 The seat and back are copper, in a basket weave design. Together these elements create a chair that is both comfortable and unique.